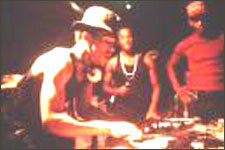 Hip Hop Nite At The Sixth Element is an event that took place between 28-Jul-2006 and 29-Jul-2006 in Hyderabad. The Sixth Element helps you drown the work-blues in commoving liqour tonite, as Carl and Jitesh take you on a guided tour of the inebriating Hip-Hop world. All the more flighty if you flash your corporate ID, 'coz once you do that, you get a 15% discount on all liquor. So make sure this one's on your organizer this Friday night. Be the first to comment on Hip Hop Nite At The Sixth Element! Just use the simple form below. fullhyd.com has 700,000+ monthly visits. Tell Hyderabad what you feel about Hip Hop Nite At The Sixth Element!